By Karrar Haider in Mobile. Updated on January 8, 2019 . Most apps require you to spend money, but did you know there are apps that could help earn money instead? That’s right, doing some simple tasks like completing surveys and offers or even just using an app, you can make a few bucks. Granted, that you won’t be able to make a living out of them. However, it can be a good way to get some extra pocket money, or at least get some cash to pay the gym fee or buy paid apps. Below I have listed 10 apps that will help you earn real money and rewards for free. 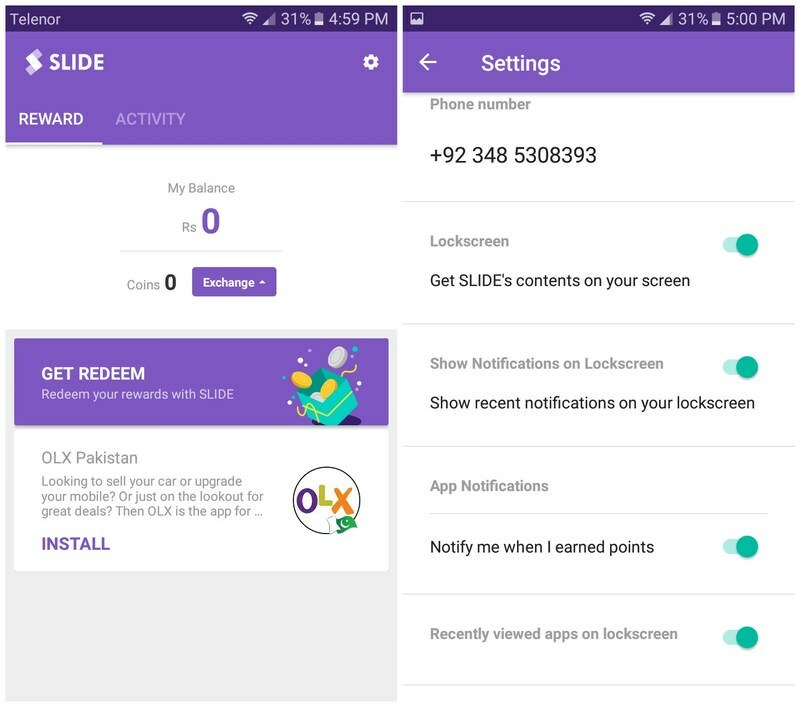 Slide offers a reliable method to earn some money by simply installing the app. It’s basically a lock screen that provides curated content right on the lock screen app and just by viewing your lock screen you’ll earn points. These points can be later converted into real money and withdrawn via PayPal or as a mobile recharge. The no-brainer setup of the app is what really attracted me. You just need to signup and log in and everything would be ready for you. It will automatically replace your phone’s lock screen with its own and will show your points earned in an easy to read interface. 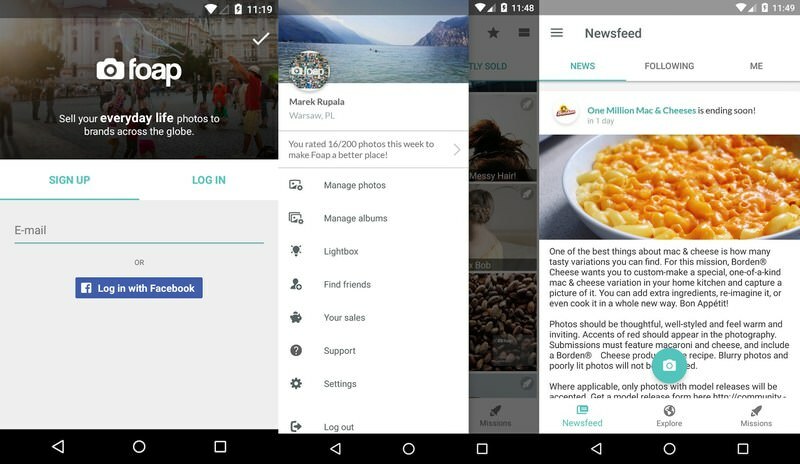 You can swipe left to open recommended content, such as news, videos, reviews and other interesting content. Alternatively, you can swipe up to see more content options, including ads. And when you need to access the phone, simply swipe right (this also earns you points). Best of all, you don’t have to open any of the content, simply swiping and viewing the content is enough to earn points. Depending on the content, you can earn 1-25 points per view. 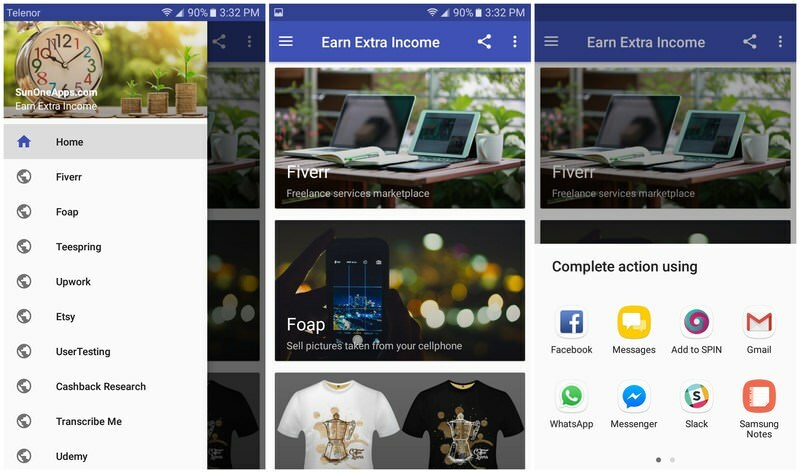 Interestingly, Slide app also offers other ways to earn money. You can share any online content you like, and if it gets lots of views and likes you’ll get points. There is also a friend referring system to earn money for each friend referred. Additionally, you can use Slide’s keyboard to type and earn points. What you get: 1000 points are equal to $1 and you can withdraw you’r earning after 2500 points earned. 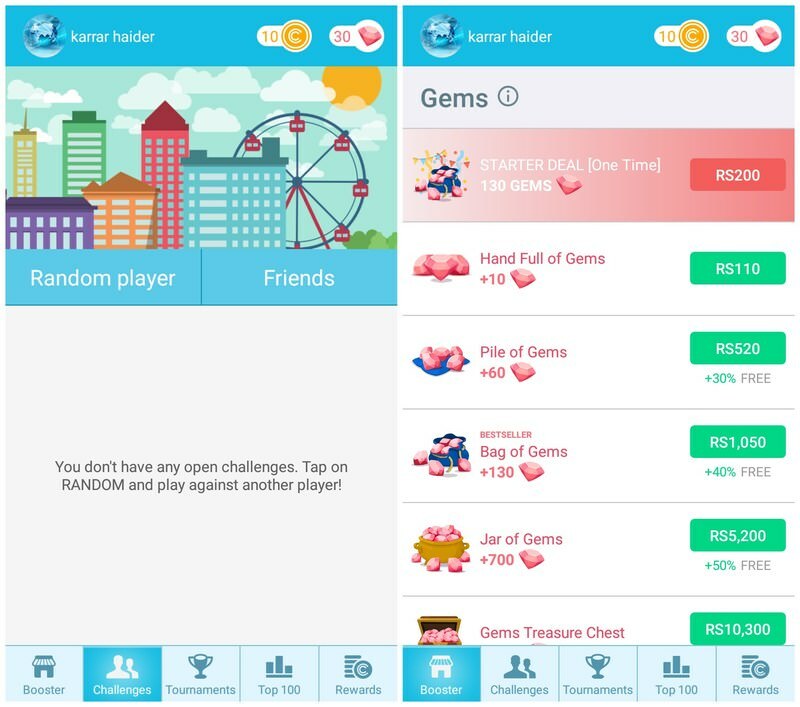 If you love brain bursting games, then you’ll surely love this trivia game that pays you real rewards if you are smart enough. There are total 16 different types of trivia games, including multiple choice, flag quiz, true/false, puzzles, and riddles. You’ll be asked questions from 16 different categories with over 45,000 questions in total to answer. However, you can only have 2 attempts at tournaments every day and more attempts can be unlocked by watching ads or making in-app purchases. When you are not entering tournaments, you can do PVP matches against friends or random opponents. 5 or 10 coins can be wagered and whoever wins gets coins of the other player. And when you have raked enough coins, you can redeem them for coupons, gift cards, exclusive deals, and giveaways. 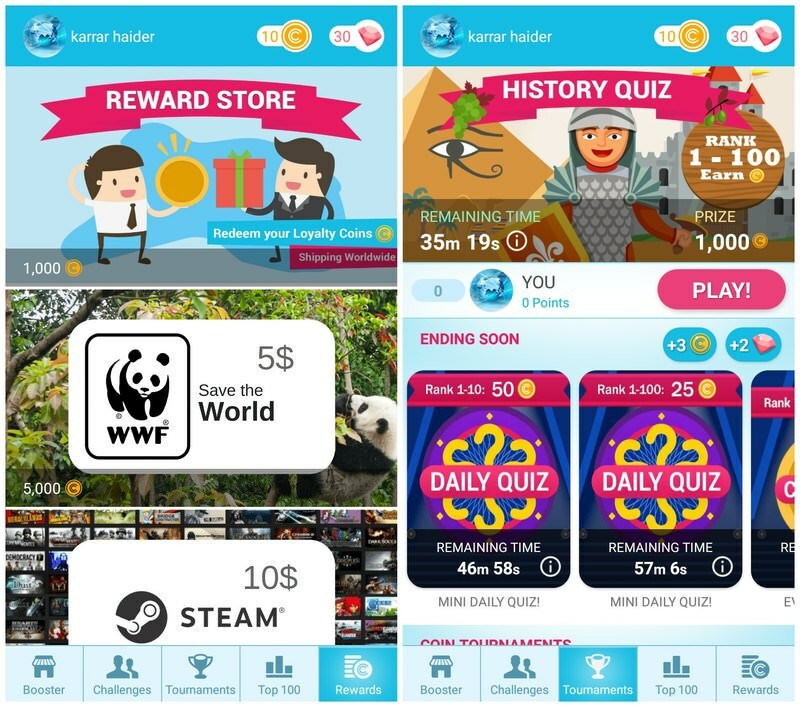 In my opinion, Quiz Rewards is a great way to challenge your knowledge and have fun while getting real prizes. Although if you just want to play it for the sake of rewards only, then it might not be worth the time. Honestly, there isn’t much to say about this app, but it still deserves the 3rd spot on this list. The app has nothing more than links to few of the companies that offer legit work at home opportunities. 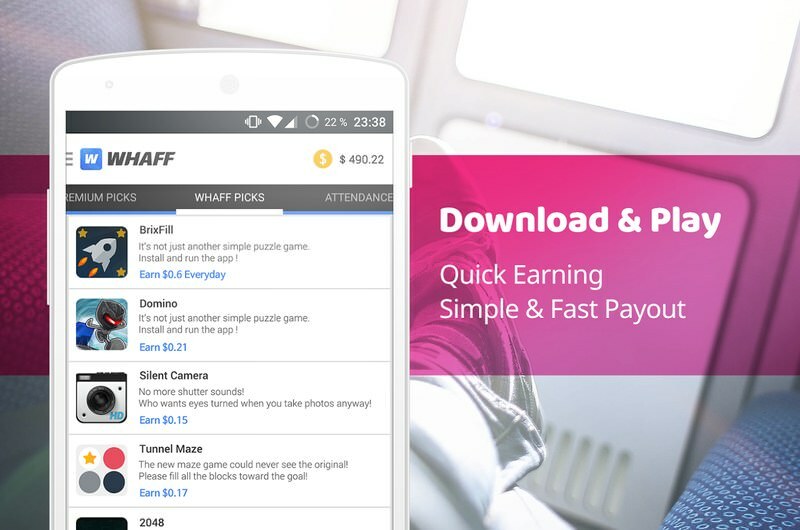 If you are looking to earn reliable online income, then this app can be a gem. You can find companies to do freelance work, sell pictures online, take pictures of branded stuff and get paid, complete simple surveys, sell clothes, earn by reviewing websites and apps, transcribe audio and videos, become an online teacher, translate documents, answer questions, sell handmade things, and many other opportunities. The great thing is that most of these companies offer enough work to even make a living. You should also keep the app installed on your phone as it frequently gets updated with more earning sources. What you get: Use your skills to earn a living from legit companies. Whether you are a professional in a field or just someone with basic online skills, you can find a company worth working for. What you get: 50% of the total amount your photos are sold for and the same photo can be sold multiple times. There are also missions to take different types of photos that can be rewarded for up to $50. 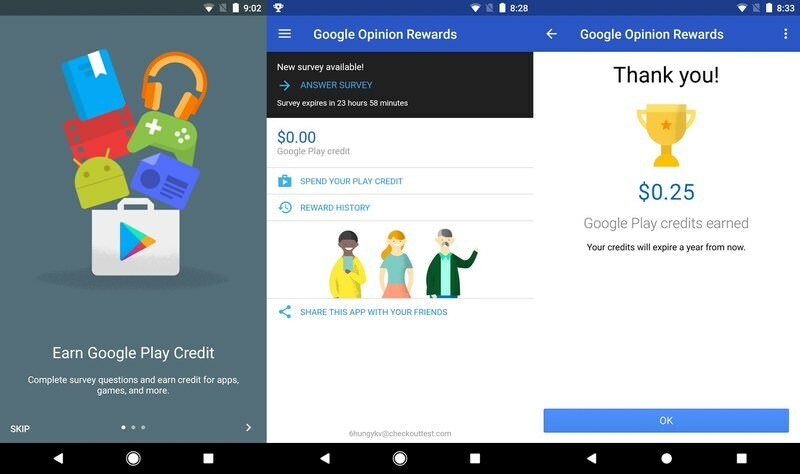 The app pays you for answering simple surveys that can be used as Google Play credit. How many surveys you’ll get per week heavily depends on your location and your activity. From 1-5 surveys a week, you may even never get a survey at all. Just try to answer surveys honestly and you should be able to get at least 1 survey per week. What you get: Surveys can be worth up to $1, and if you are the right candidate then you may easily get at least 3 surveys per week. 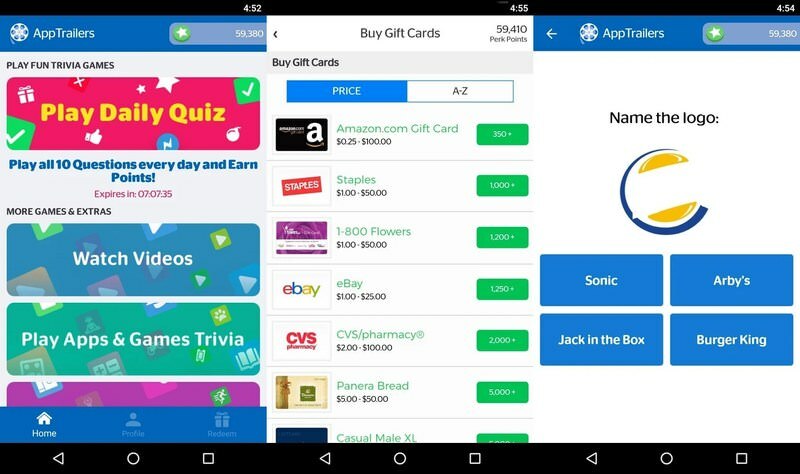 What you get: Each video played gives 5 points, watch enough videos or play trivia games and cash out a minimum of $0.5 via PayPal or as a gift card. What you get: You just need to download and keep using the apps and money will keep rolling in. With a few minutes use every day, you could make $10 each month (which is the minimum payout). Apart from the Earn Real Income app, others probably won’t help you earn more than $10 per month. However, I recommend you to download multiple cash earning apps to increase total income. 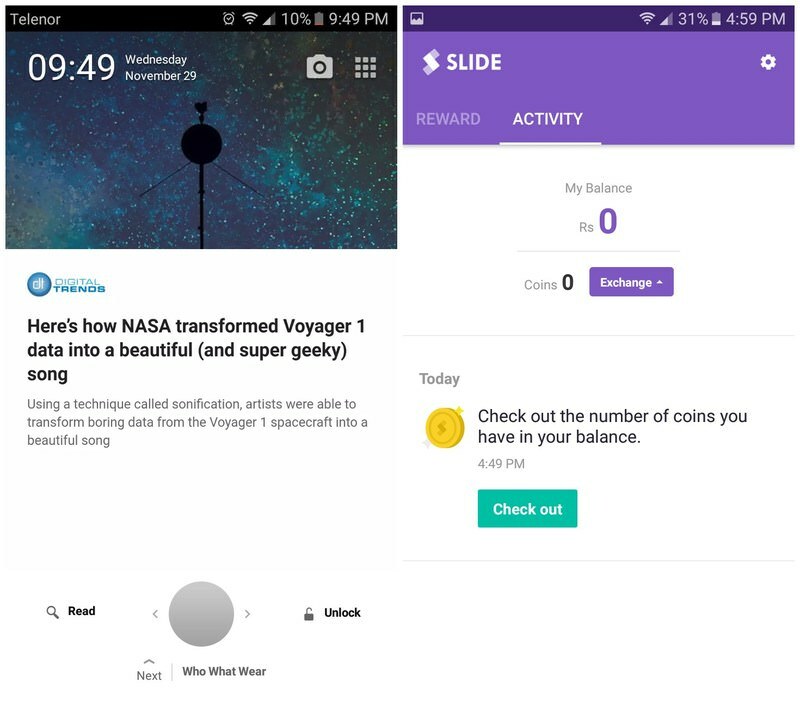 Optimally, a combination of Slide, Quiz Rewards, Google Opinion Rewards, WHAFF Rewards, and MooCash should help you earn $30-50 each month with just a few minutes spent daily.